Denver and ORI will join us for a live chat some time next week and they asked that you submit your snowy owl questions early before then. Which you can do right here under this blog post! 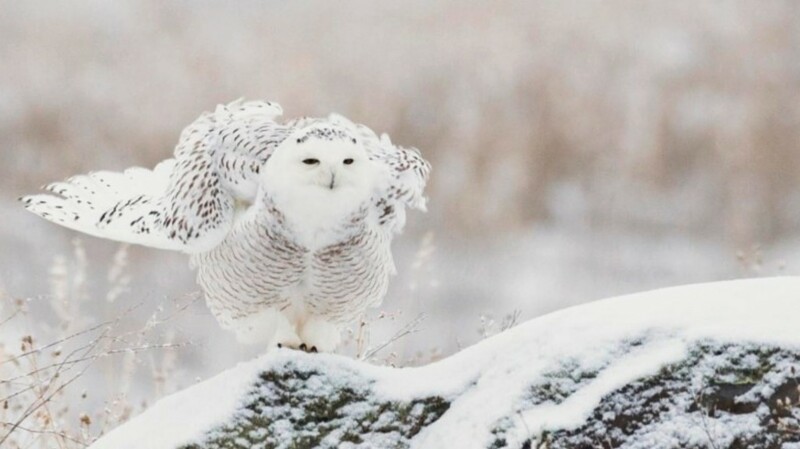 Ask about how snowy owls build their nests, how they catch their prey and feed their chicks. We’ll let you know on explore.org and in a newsletter (sign up here!) when we’ve scheduled the chat. We hope to see your awesome questions! The eggs and chicks are extreme white in a brown landscape. is that why all the lemmings are placed in a circle around them? Do adults have a difference in their appearance to distinguishmale and females? What is the incubation time? Are there wolves or bears where they nest? Do they have any predators? Did most of the snowy owls that erupted to Ohio and other parts south last winter return to the north this spring? I saw one male in Cleveland on April 5. What do we know about their population, and how reliable are the numbers? Is there a strong lemming population currently? How do they make their nest and how long does it take them? Do they ever reuse a nest or go back to the same araa as a previous nest? Are nesting sites distributed evenly across the area you are studying or do they appear grouped together? Is the distribution of nesting sites based on available “high points” in the landscape or is it based on other factors? Aside from the gryfalcon are there other raptors competing for the same food sources?